On July 21 House Farm Workers! held the 6th annual fundraising dinner, From Field to Fork. The event brings together farmers who produce Ventura County’s agricultural bounty, chefs who celebrate that bounty on their menus, and the farm workers whose labor makes it all possible. This year, guests and sponsors raised a record $93,000 for the organization. Thank you to our very generous sponsors and attendees for supporting the work of our organization and ensuring that our farm worker families have a place they can call home. We could not have put on such a wonderful event without the contributions of our in-kind donors. We would especially like to thank Rick Brecunier, who provided the venue space at the incomparable Walnut Grove at Tierra Rejada Ranch and Chef Tim Kilcoyne of Scratch Food Truck, who orchestrated the entire dinner and enlisted the support of local farms and other vendors. Meet the 2016 Ellen Brokaw House Farm Workers! At the “From Field to Fork” dinner, we awarded the Ellen Brokaw House Farm Workers! scholarship to three children of farm workers attending college. This scholarship reflects our commitment to making sure our farm worker families can thrive. Earlier this year, the Board of Supervisors approved a $1 million appropriation of funds to go towards building farm worker housing. That funding went to three different farm worker developments that are in the process of being approved and built: one development in Oxnard and two in Ventura. The Housing Authority of the City of Ventura is the developer of the two Ventura projects: Rancho Verde and a redevelopment of the Westview Village. On August 17, 2016, the City of Ventura Design Review Committee approved the Housing Authority of the City of Ventura’s Rancho Verde project. Rancho Verde includes 24 affordable farm worker apartments that will be developed on the Hansen Trust site in East Ventura. Rancho Verde will be LEED for HOMES Platinum certified, net zero energy and will incorporate a grey water system. See the site elevations below. Our founding chair Ellen Brokaw and House Farm Workers! successfully advocated that the Hansen Trust site include farm worker housing. 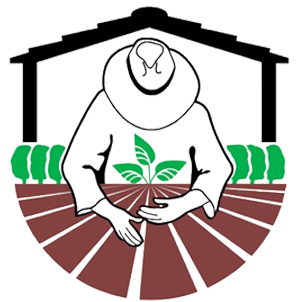 The Hansen Trust agreed to donate a site for farm worker housing to the Housing Authority of the City of San Buenaventura. Thank you to the City of Ventura and to the community members of Ventura for supporting this project, which will provide much needed homes for the farm workers of our community.